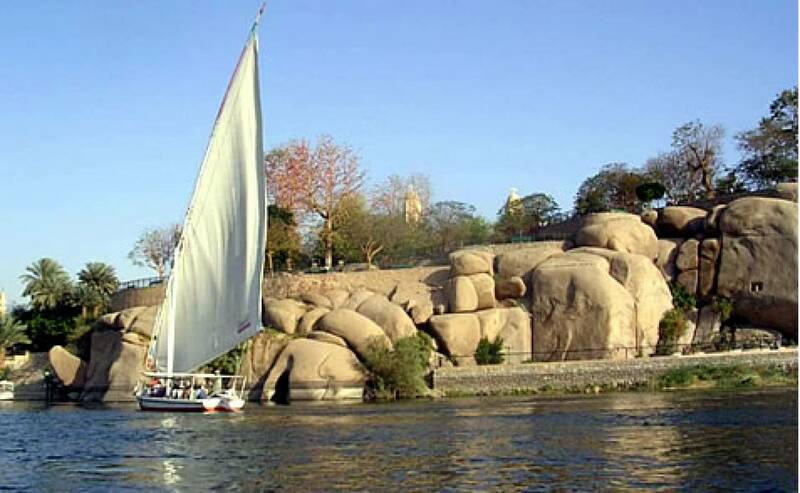 A relaxing 1 hour felucca ride in the Nile of Aswan is a must do thing for any visitor to this tranquil city. 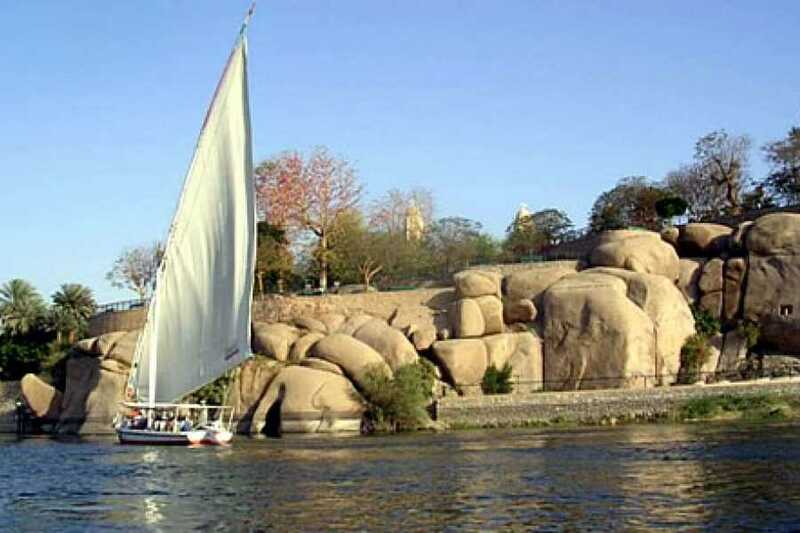 Visit the botanical garden which has rare plantations and the elephantine island with a felluca ( a typical Egyptian sailing boat). 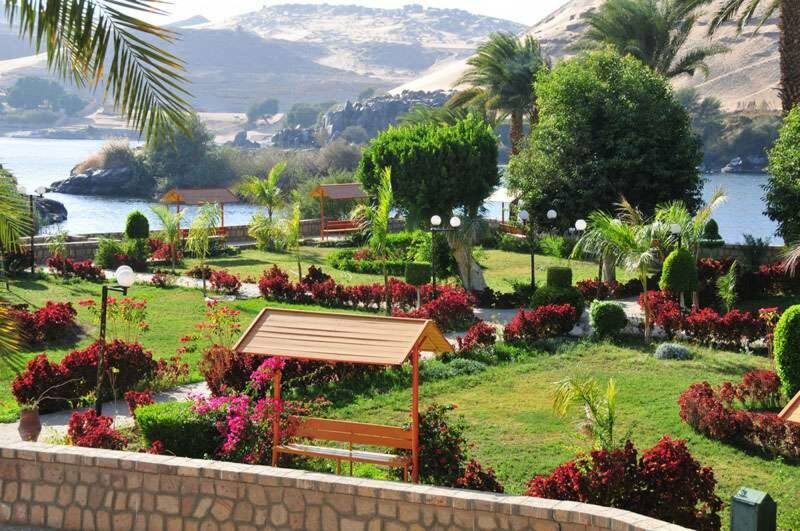 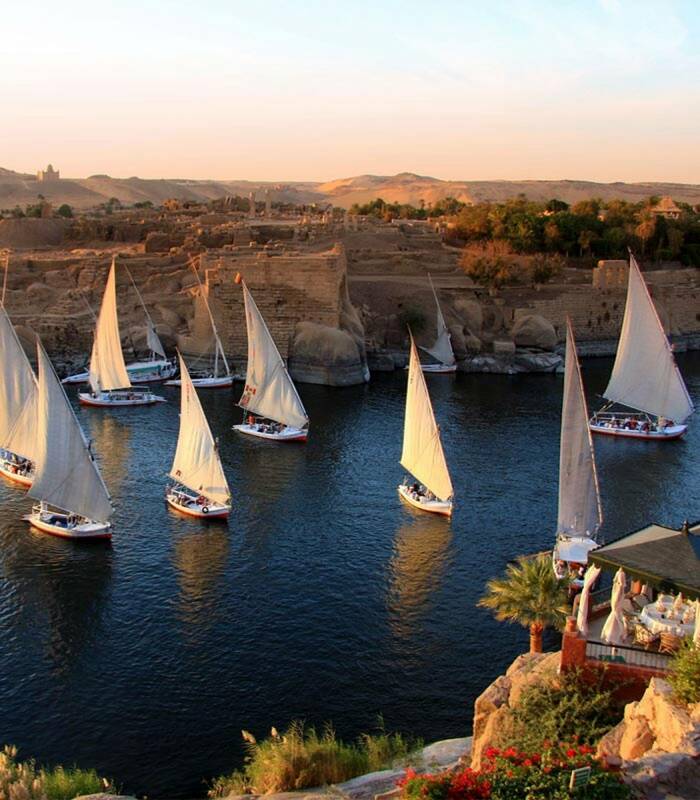 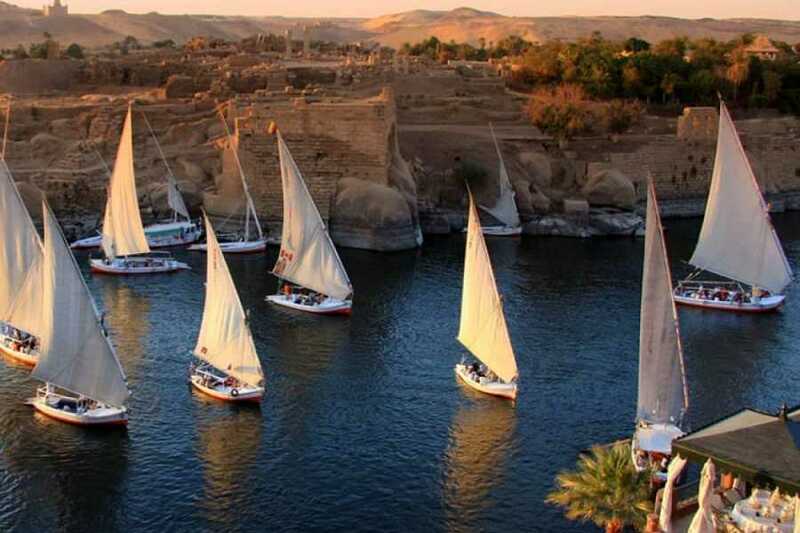 Pick up form your hotel and take a felucca which is a typical Egyptian sailing boat for a tranquil tour in the Nile River to sail around the Elephantine Island or the "Island" as named by the inhabitants who situated in front of Aswan city. 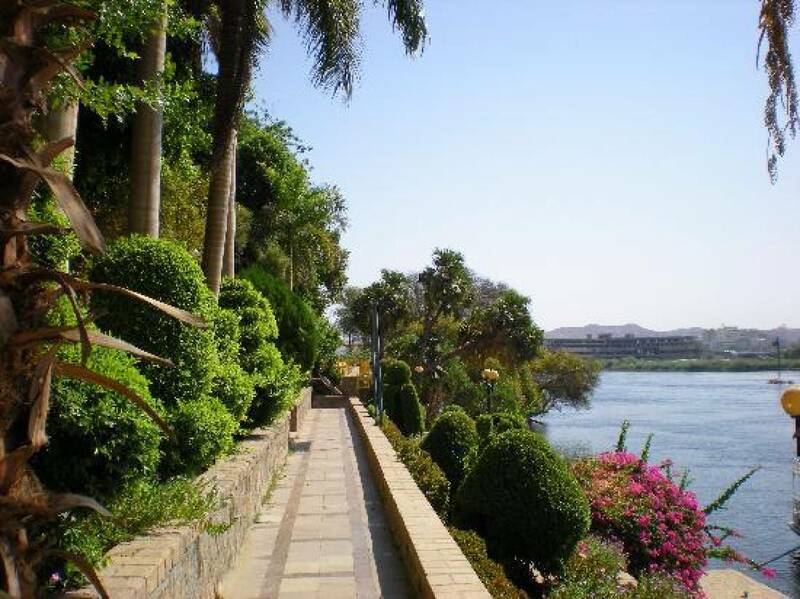 It was the last of the Egyptian cities in the south, and a fortress defending the country against any attacks from the south. 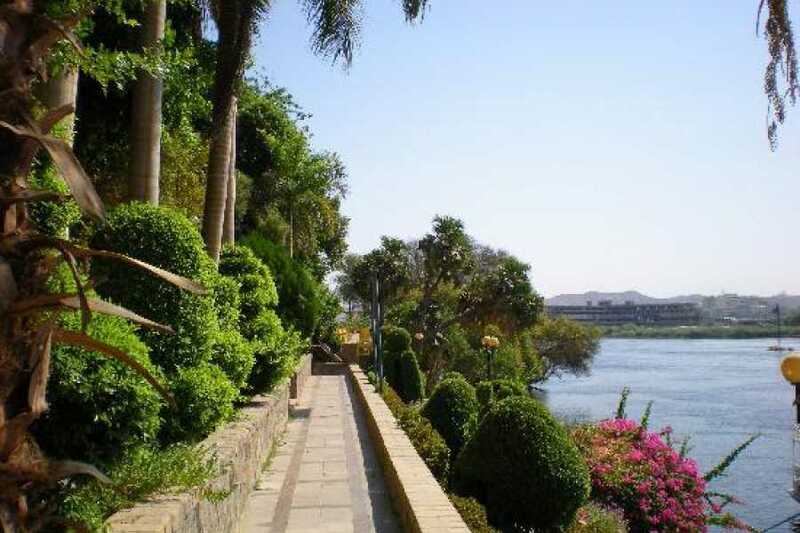 It was named "Abou" by the pharaohs, meaning the Elephant city or the centre of ivory trade, and its Godhead was "Khanom" and the Golden Ram was its sacred animal. 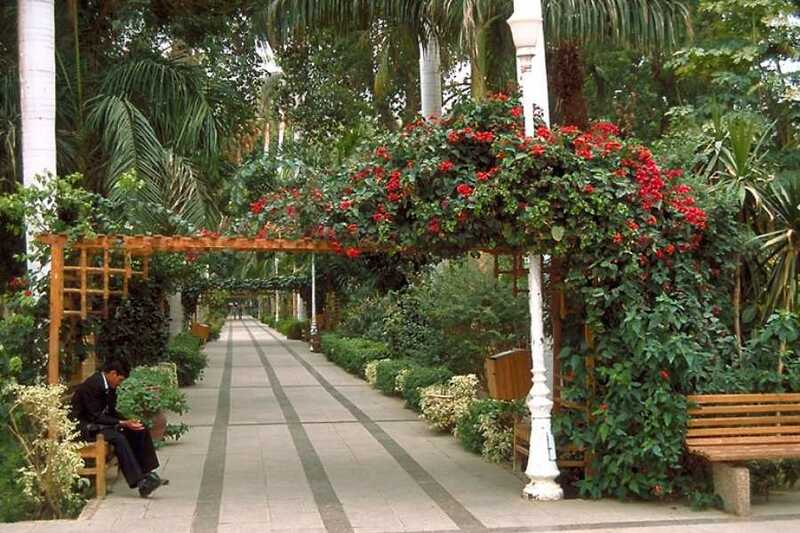 Then stop at The Kitchner Island or Botanical Garden Was once owned by the leader of the Egyptian army General consul Horatio Kitchener. 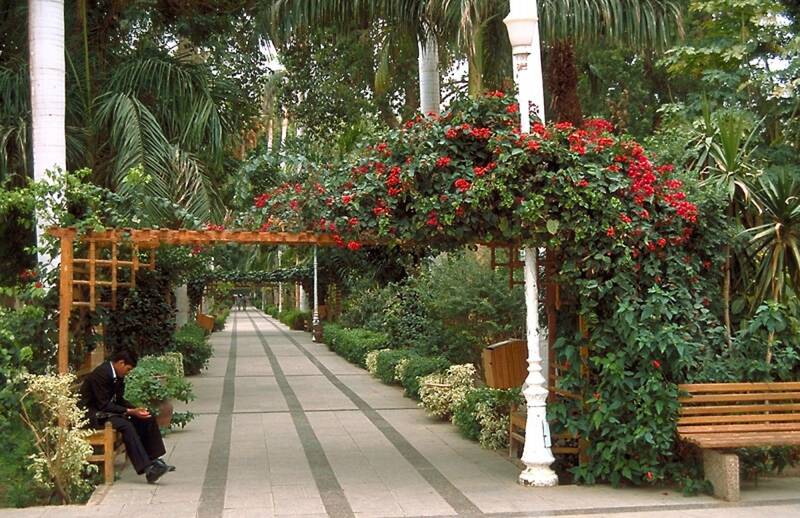 Due to his love to plantation the consul brought different plants from all over the world. 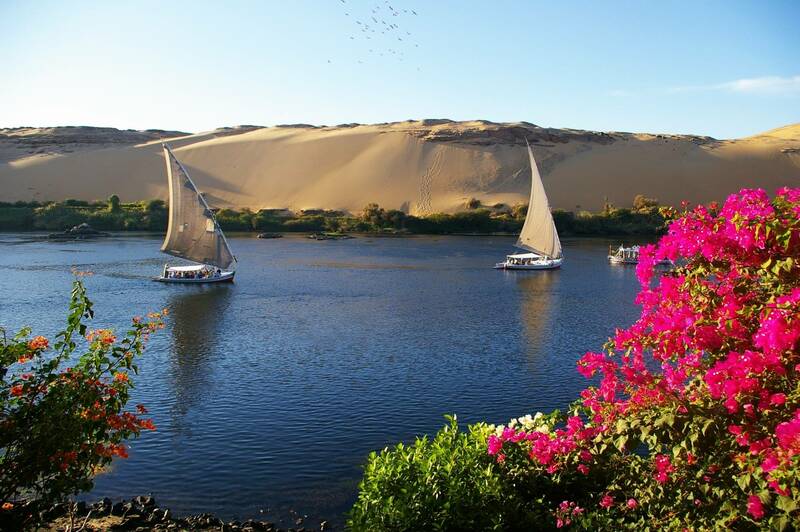 The island now contains some rare species of plants and it is a quite place to visit by felucca the typical Egyptian sailing boat.